About a quarter of the world’s seafood caught in the ocean comes from bottom trawling, a method that involves dragging a net along the ocean’s shelves and slopes to scoop up shrimp, cod, rockfish, sole and other kinds of bottom-dwelling fish and shellfish. The technique impacts these seafloor ecosystems, because other marine life and habitats can be killed or disturbed unintentionally as nets sweep across the seafloor. Scientists agree that extensive bottom trawling can negatively affect marine ecosystems, but the central question — how much of the seafloor is trawled, or the so-called footprint of trawling — has been hard to nail down. The paper, appearing online October 8 in the Proceedings of the National Academy of Sciences, brought together 57 scientists based in 22 countries, with expertise in mapping fishing activity from satellite monitoring and fishing logbook data. 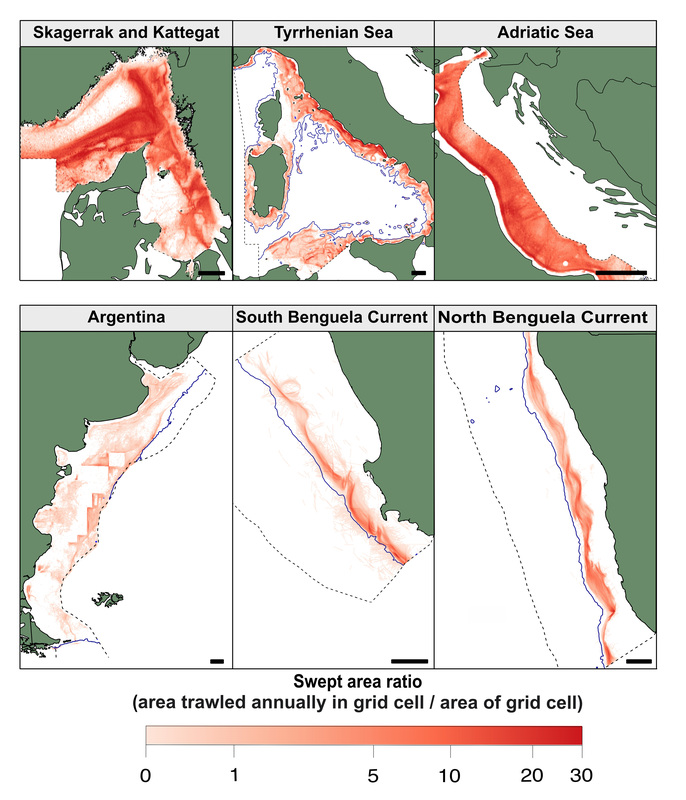 It shows that the footprint of bottom-trawl fishing on continental shelves and slopes across the world’s oceans often has been substantially overestimated. 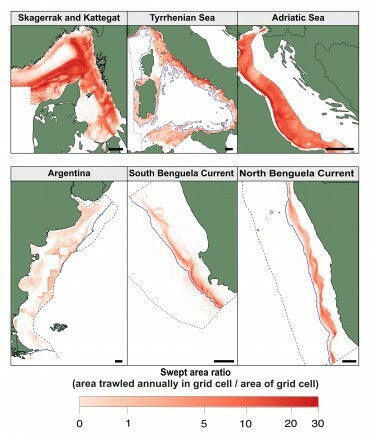 Previous analyses have mapped trawling on 1,000 or more square-kilometer grids, for example, compared with the 1- to 3-square-kilometer grids used in this analysis. Footprint estimates presented in this new paper also are more accurate than those described in some previous studies because they use information about the gear used by fishing fleets, the authors explained. Knowing whether a trawling net spans 10 meters or 100 meters, for example, helps to improve the estimate of the seafloor area impacted. While the authors found that 14 percent of the regions included in the study were trawled, there were major regional differences. For example, only 0.4 percent of the seafloor off South Chile is trawled, while more than 80 percent of the seafloor in the Adriatic Sea, a part of the Mediterranean Sea found to have the most intense footprint, is trawled. 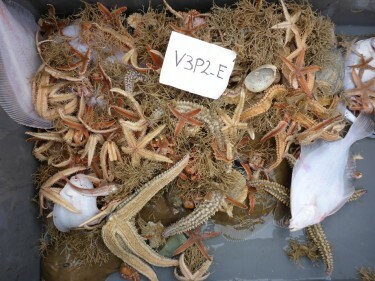 Additionally, trawling footprints covered less than 10 percent of the seafloor area in Australian and New Zealand waters, and in the north Pacific’s Aleutian Islands, East Bering Sea and the Gulf of Alaska, but exceeded 50 percent in some European seas. The study also provided evidence for related environmental benefits. 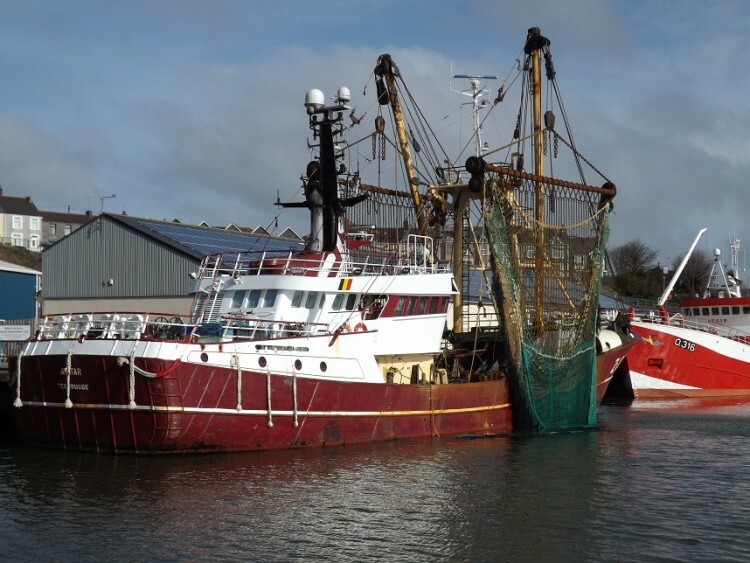 In regions where fishing rates for commercially fished trawl-caught stocks met accepted sustainability benchmarks, trawl footprints were usually smaller, explained co-author Simon Jennings of the International Council for the Exploration of the Sea. “For those regions where bottom-trawling footprints were less than 10 percent of the seafloor area, fishing rates on bottom-dwelling fish stocks almost always met international sustainability benchmarks. But when footprints exceed 20 percent, they rarely met them,” Jennings said. 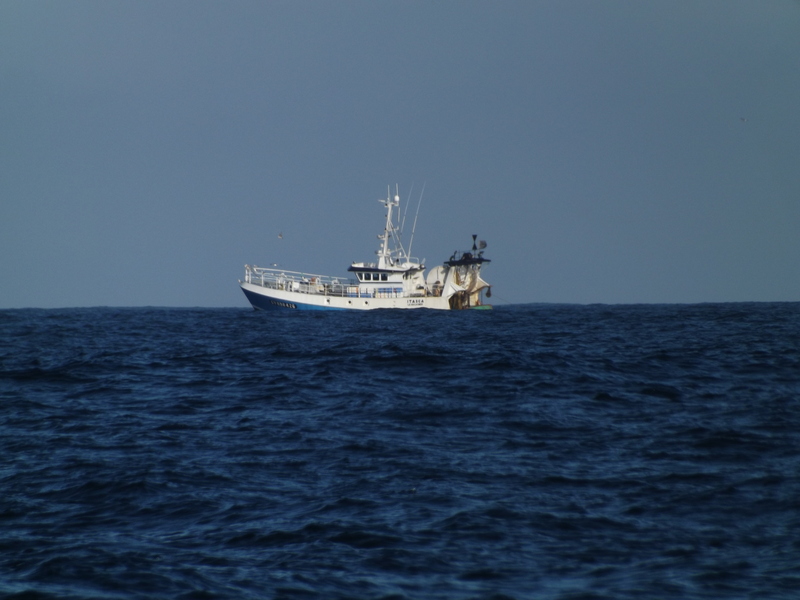 The authors acknowledge that some regions known to have a lot of trawling activity were not included in this study because data providing a detailed picture of fishing activity were not available. Southeast Asia is one of those regions. “We are able to use this method to make reasonably good estimates of the impact of trawling in places where we don’t have fine-scale spatial data,” Hilborn said. 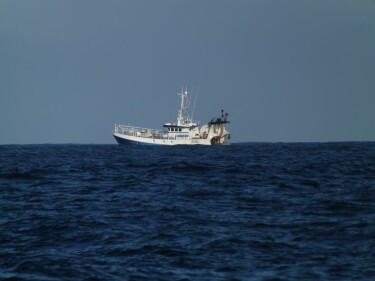 Other researchers involved with designing the study are Michel Kaiser of Bangor University in the United Kingdom and the Marine Stewardship Council; Roland Pitcher of CSIRO Oceans and Atmosphere in Australia; Adriaan Rijnsdorp of Wageningen Marine Research in the Netherlands; Robert McConnaughey of NOAA Fisheries, Alaska Fisheries Science Center; Ana Parma of Centro Nacional Patagónico in Argentina; Petri Suuronen of the Food and Agriculture Organization of the United Nations and the Natural Resources Institute Finland; Jeremy Collie of the University of Rhode Island; and Jan Hiddink of Bangor University. A full list of the co-authors is available in the paper. For more information, contact Amoroso at ramoroso@uw.edu and 206-747-1362 or on Skype at ricky.amoroso (Central Time) and Hilborn at rayh@uw.edu (Pacific Time).